"The Queen's Dwarf" by Ella Chase March~Interview w/ Author! 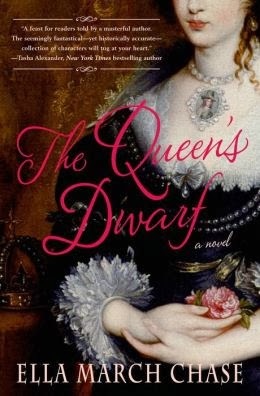 A richly imagined, gorgeously written historical novel set in the Stuart court featuring a unique hero: Jeffrey Hudson, a dwarf tasked with spying on the beautiful but vulnerable queen. It's 1629, and King Charles I and his French queen Henrietta Maria have reigned in England for less than three years. Young dwarf Jeffrey Hudson is swept away from a village shambles and plunged into the Stuart court when his father sells him to the most hated man in England—the Duke of Buckingham. Buckingham trains Jeffrey to be his spy in the household of Charles’ seventeen-year-old bride, hoping to gain intelligence that will help him undermine the vivacious queen’s influence with the king. Desperately homesick in a country that hates her for her nationality and Catholic faith, Henrietta Maria surrounds herself with her "Royal Menagerie of Freaks and Curiosities of Nature"—a "collection" consisting of a giant, two other dwarves, a rope dancer, an acrobat/animal trainer and now Jeffrey, who is dubbed "Lord Minimus." Dropped into this family of misfits, Jeffrey must negotiate a labyrinth of court intrigue and his own increasingly divided loyalties. For not even the plotting of the Duke nor the dangers of a tumultuous kingdom can order the heart of a man. Though he is only eighteen inches tall, Jeffrey Hudson's love will reach far beyond his grasp—to the queen he has been sent to destroy. 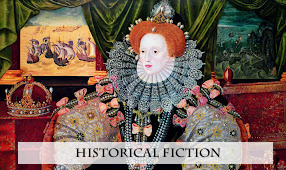 Full of vibrant period detail and perfect for fans of Carrolly Erickson and Philippa Gregory, The Queen's Dwarf by Ella March Chase is a thrilling and evocative portrait of an intriguing era. When Ella March Chase was in third grade, she informed her teacher she didn't need to learn multiplication tables because she was going to be a famous writer when she grew up. At twenty-five, she combined her passion for researching history and spinning stories. 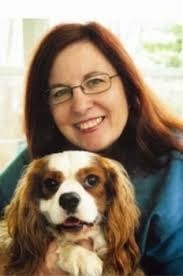 Her daughter Kate claims that when she was growing up even the family dogs were discovered while researching King Charles II-- Cavalier King Charles Spaniels. 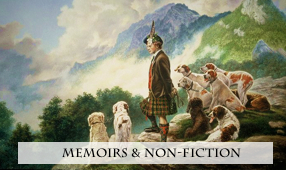 Though Ella now shares her home with a rescue Shetland Sheepdog named Oliver Twist, she never lost her fascination the intrigue of royal court-- be it during the reign of the Tudors or, most recently, the Stuarts. She travelled to England where she fell under the spell of the Tower of London—the infamous Traitor’s Gate, the chapel where beheaded queens lay buried, the story of the two princes allegedly murdered by Richard III. Ella began unearthing the obscure historical details that make larger than life figures painfully human. From that fascination, the concepts for The Queen's Dwarf, The Virgin Queen's Daughter and Three Maids for a Crown emerged. When Ella is not writing books, haunting the local libraries or burying herself in stacks of research books, she spends her time making up stories about pirates and dragons to delight her grandsons, growing fresh herbs to use in her legendary 'magic' soup, knitting all the bright colored yarn she can lay her hands on, having tea with her family and friends and playing folk ballads on her guitar because people who love her are too polite to beg her to stop. 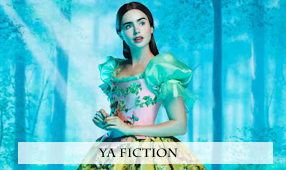 I'm so pleased to be able to bring this interview with Ella March Chase to my readers today. I find her so interesting...Can't wait for you to read this interview!!! I figured that my critique partner and dear friend of twenty-nine years, author Susan Carroll, would be best able to answer this, so I’m handing it over to her. “Ella is the kind of person you'd love to have afternoon tea with. Not only would the scones and shortbread be delicious (she's a fabulous cook) you would be treated to some great conversation. She's intelligent, well read and has such a great sense of humor. And I have never known anyone with a greater enthusiasm for history. She is totally absorbed when doing research for her books. I think this is what makes her such a gifted writer of historical novels. She has this amazing ability to see beyond the facts and understand the people of a different era. She is such a warm, compassionate woman and puts her whole heart into everything she does, whether it is writing a book, being a devoted grandmother or the best friend anyone could ever have. And right about now, as she is reading this, I am certain she is blushing, because she is also excessively modest! “ I am blushing, but Sue made me promise I wouldn’t edit it. 2) Briefly, from where did the idea for your novel germinate? I’m a huge Downton Abbey fan and love the interplay between the upstairs/downstairs lives. I had written about court intrigue from the viewpoint of the powerful aristocrats. I started wondering what it must be like for the royal household’s staff. I remembered a portrait I had seen of Queen Henrietta Maria by Van Dyke. It featured a tiny man with a monkey perched on his shoulder. When I researched it further, I discovered Jeffrey Hudson, known as ‘The Queen’s Dwarf’, an eighteen-inch tall man whose heart and spirit of adventure far outstripped his size. In the portrait, Jeffrey looks up at Queen Henrietta Maria with affection, but also wariness. I could feel the tension in him, as if he knew how easy it would be to fall from favor. I researched Jeffrey and discovered that he was placed in the queen’s household by the scheming duke of Buckingham. Buckingham was Henrietta Maria’s great enemy and the king’s best friend. My mind was off and running. Jeffrey’s courage and resourcefulness, the historical facts about his life could be spun into a wonderful story. 3) Who first told you you could write and how did it affect you? My grandmother, a children’s librarian. 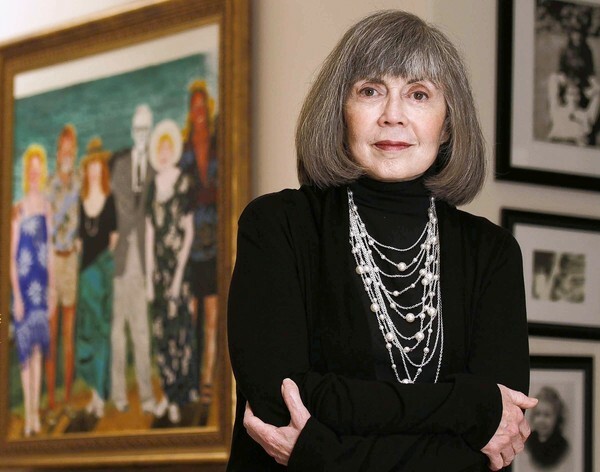 She nurtured my writing and always believed I would be a writer. My mom was also a huge supporter and arranged for one of her patients to take me to Writer’s Studio when I was still in high school. She also showed the staff at the doctor’s office a school project—my first attempt at historical fiction—a story set during the French Revolution. The lab tech cried. I was so empowered, knowing I could evoke that kind of emotion. I recently reconnected with the lab tech on Facebook. She still remembered my heroine’s name was Angelique! 4) Which contemporary authors do you most admire? There are so many fantastic writers. First of all, J.K. Rowling who rekindled the joy of reading long books in children hungry for magic. She’s my hero. 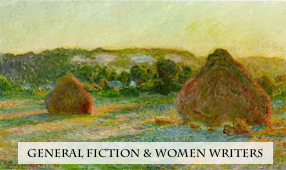 Anne Perry, Tami Hoag and Susan Carroll are three of my long time favorites. I tend to hoard their books until the perfect reading weekend, because I know once I start reading I’m not going to be able to put the book down. Lately I’ve discovered Nancy Bilyeau, Melanie Benjamin, Michelle Moran, C.W Gortner and Sandra Byrd. They make pleasure reading a joy. 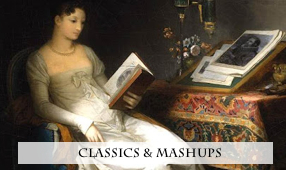 5) Who are your favorite classical authors? I adore Louisa May Alcott. Charlotte Bronte’s Jane Eyre always haunts me—the Red Room alone! Yikes! George Elliot is brilliant. My personal favorite is Silas Marner discovering treasure in the love of his little Eppie. I’m a Jane Austen and Charles Dickens fan and must read Frances Hodgson Burnett’s A Little Princess and A Secret Garden at least once a year. 6) What was your first book as a child? What’s your all time favorite book? With a grandmother who was a children’s librarian, you can imagine how lucky I was. I was showered with the very best in children’s literature. My most memorable incident with a book was when I was in second grade. I was upstairs in my room, reading Charlotte’s Web by E.B.White. My mom heard me sobbing and rushed upstairs to see what was wrong. “Charlotte died!” I wailed. My mom cuddled me close, and said “Oh, sweetie, who was Charlotte?” I cried: “A spider!” As for my favorite book, I think Little Women. Every time I open its pages, its like being enveloped in a warm hug from the March family and my grandma. 7) Read any good books in the past 6 months? The Aviator’s Wife by Melanie Benjamin was phenomenal. I’ve loved Anne Morrow Lindbergh since I was a girl. So was the children’s novel Wonder by R. J. Palacio, the tale of a boy with a severe facial deformity entering middle school. I’ve been researching a new novel, so I’ve been reading a lot research. 8) What’s the worst job you’ve ever had? Cleaning tables at Ponderosa Steak House as a teenager. 9) What’s your earliest memory? My mom worked nights as a nurse so dad was in charge at night. He would put me to bed but left the hall light on for me. The minute I heard him snore, I’d creep out of bed and take my pile of books out into the hall and read there until mom got home at two in the morning. My poor parents. It was a good thing I loved my books. Imagine what mischief an unattended three year old could have gotten into! 10) What’s your most treasured possession? The Tasha Tudor edition of Little Women that my grandmother, a children’s librarian, gave me for Christmas when I was fourteen. 11) Are you working on a new novel? I am. It’s set in Paris and will combine two tales, one set in World War II, the other in 1968. I also hope one day to revisit Jeffrey and the Menagerie. What a great life and interesting, Ella. Thanks so much for visiting with us. It must have been just fantastic to have a grandmother who was a librarian throughout your life. I have also been a long time fan of Anne Morrow Lindbergh and her writings. I look forward to your new novel. I had a wonderful weekend reading "The Queen's Dwarf." It was the perfect get-away! The gorgeous cover gave a glimpse of all that was inside, and author Ella Chase March delivered on her promises. This is a book to cozy down with an enjoy. I highly recommend it. Ms March writes like the best of the historical fiction authors. There is a depth and sensitivity to her writing. The historical background is thoroughly researched, you can easily discern, as well as the cultural details. Her richness of place and time set the stage for a story that is intriguing and heartwarming at the same time. I was swept up from the first chapter. There are many characters to love in this novel. But, who wouldn't fall for the dwarf, Jeffrey? He is small, but beautiful in "design." His heart is big and his courage is monumental! I loved the way Ms March created him. I loved his loyalty and his intelligence, too. Amongst the great menagerie the Queen held dear, Jeffrey was the heart. I felt like he was the light in a dark time. This is a novel that you can't miss. 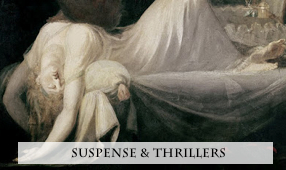 Beautifully written, exceptional plot, and characters who live and breathe. I think you'll be pleased if you add this one to your reading list this winter.